The gift of a Bible is life-changing; bringing hope and peace to a person in need. Chickens are brilliant - one hen can lay up to 200 eggs a year, providing essential protein for all the family, and a source of income. 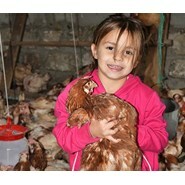 As Viorel says: "It's all about the chickens - they provide enough eggs for the whole community, it's amazing!" 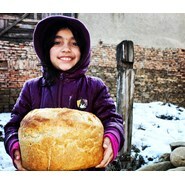 Help provide 10 families with fresh bread from our community bakery. Our clubs are a safe space for children to do their homework, learn through play, receive one-to-one support and enjoy a nutritious meal. It's £5 for a week of after school club. Order four and you could provide the club for a month! Hot soup and bread served in our community kitchens is a lifeline to Eastern Europe's forgotten homeless people, and means families don't have to choose between eating and heating their homes.